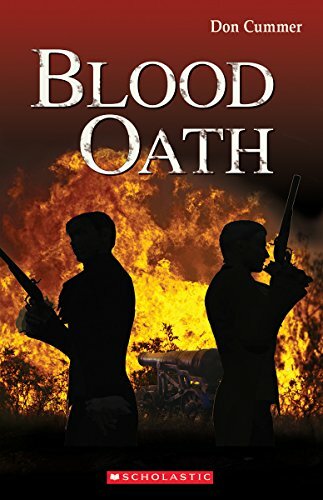 Jacob and Eli may be blood brothers, but they are on opposite sides in the battle of Queenston Heights during the War of 1812. While Jacob joins John Nortons Mohawk band fighting with the British-Canadian side, Eli fights with the Americans. The Canadians win the day, but the victory comes at a great cost: the death of General Brock. Eli is captured and jailed. Because he swore the oath of allegiance to the Crown before he left Canada, his return with the invaders makes him a traitor. He is charged with high treason a hanging offence. Can Jacob save his friend from the gallows? Toward the end of book 1, Brothers at War, General Brock asked Jacob's father and Mr. Willcocks to go on an important mission to the Mohawk Village (present-day Brantford, Ontario.) 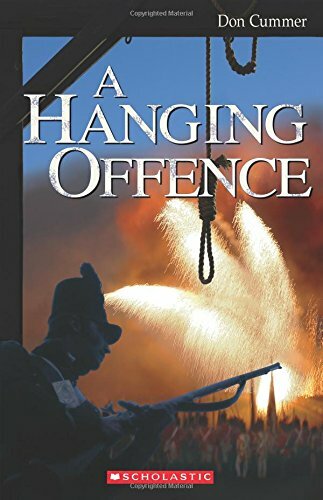 In book 2, A Hanging Offence, Jacob becomes friends with a Haudenosaunee boy, Good Spirit, and watches the diplomacy as John Norton prepares the First Nations for war. Jacob and Good Spirit fight side-by-side at the Battle of Queenston Heights. 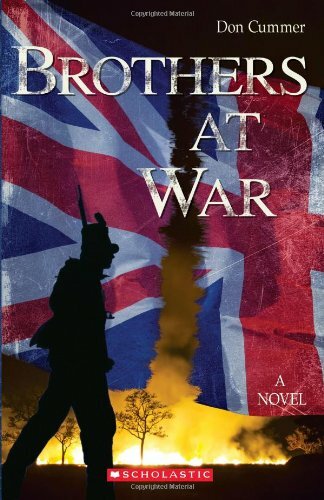 But on the battlefield, Jacob comes face-to-face with his blood brother, Eli who has joined the American militia. With Eli taken prisoner and under house arrest, the brilliant young Attorney General of Upper Canada, John Beverley Robinson, decides to make an example of the boy and have him tried for treason. Jake faces a stark choice: follow his father's wishes and let the justice system take its course, or try to break his blood brother out of jail. All along, Jake is haunted by the sights of what he has witnessed on the battlefield. Read Libby McKeever's review and an excerpt in the Canadian Review of Materials.